Most pregnant women have some concerns about flying during pregnancy. This is very understandable, they don't want to do anything that might harm their unborn child. The good news is that flying as such is not harmful for your baby, or you. As long as your pregnancy is without complications you should be able to fly safely well into your pregnancy. Flying when pregnant however slightly increases the risk of developing some health related problems. You can minimize the risk of pregnancy air travel by taking some simple precautions. It is also recommended to discuss your travel plans with your doctor prior to making any travel arrangements and make sure you have adequate travel insurance in place. There is no reason as such why you cannot fly safely from the beginning until quite late into your pregnancy. However, the best time for flying when pregnant tends to be between 14 to 28 weeks into your pregnancy. The first trimester is sensitive time in any pregnancy, with higher risk of miscarriage or ectopic pregnancy. 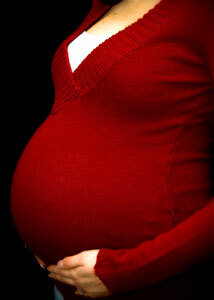 Some pregnant women also suffer badly from nausea and exhaustion during this period. Many pregnant women therefore prefer to stay as close to home as possible during these early months of pregnancy. However, if you are lucky enough to feel up to flying during pregnancy at this early stage then there is no reason why you cannot do so. It is though always wise to discuss it with your doctor prior to making your travel arrangements. You can fly safely up to 36 weeks of pregnancy if you are carrying only one child and have had no complications during your pregnancy. Flying after week 28 is though usually rather uncomfortable experience for most pregnant women. It is however the increased risk of early labor, which makes flying this late in your pregnancy not such a good idea. This is the reason why many airlines do not allow women late in their pregnancies to fly with them. Airlines have different rules about pregnancy and flying. Many airlines do not carry women over 28 weeks pregnant while others draw the line at 32 weeks. Always check the airlines pregnancy air travel policy before making your booking. Airline can forbid you from flying if you cannot adequately “proof” how far along in your pregnancy you are. This is why you should always get a written permission to fly from your doctor during the latter half of your pregnancy. The letter should state expected due date, confirm that you have been examined and that you are considered of low risk of going into premature labor. No matter how far advanced your pregnancy is, if you have any medical problems during your pregnancy, i.e. high blood pressure, diabetes, asthma, spotting, previous premature birth... always check with your doctor prior to deciding on any travelling. Flying when pregnant slightly increases the risk of developing some health related problems. It is however important to keep things in perspective. The risk is still very low and vast majority of pregnant women fly safely during various stage of their pregnancy. Nevertheless, you need to be aware of the risk involved and know what you can do to reduce any possible health risks when flying during your pregnancy. Pregnant women are slightly more at risk of developing deep vein thrombosis (DVT), especially on long haul flights (five hours or more). You can reduce this risk by staying hydrated and moving about the plane on regular basis. Sitting in aisle seat will allow you to move about more freely and remember to drink plenty of water throughout the flight. Special flight socks will help reduce swelling and you should wear them throughout your flight. It is important to buy the right type and size of socks and wear them correctly, as ill-fitting socks could do more harm than good. You should put the socks on before you get out of bed in the morning and keep them on all day. Flexing your feet up and down on regular basis during the flight will also help your blood circulation. Amazon offer wide range of flight socks and other DVT preventions products. RevitaLeg portable leg massager is also popular little gadget that enhances the circulation in the legs and hence helps reducing the risk of developing DVT. We have chosen our favorite In-Flight Comfort Products, all of them are suitable for pregnant women. Exposure to natural atmospheric radiation, or cosmic radiation, during flight is minimal and has not been shown to have any effect on unborn children. Unborn children are though considered highly sensitive towards this kind of radiation so frequent flying during pregnancy is not recommended. Pregnant women are advised not to fly more than 200 hours during the whole pregnancy. If you fly less than that during your pregnancy, this risk is considered negligible. Pregnant women should never travel in unpressurized airplanes. Commercial airplanes maintain standard level of pressure in their cabins, making flying during pregnancy with them perfectly safe. Some small planes do not have pressurized cabins so always check this before boarding small planes or if flying any non-commercial flights. If not sure, don't risk it. Many concerns about pregnancy and flying are unfounded. While it is true that luggage scanners use x-ray technology, you and your baby are not exposed to them by standing in their proximity. Metal detectors also pose no risk for pregnant women and their unborn babies. You cannot count on your fellow passenger to know about your condition, especially early on in your pregnancy. So do not hesitate to ask for help if you are travelling alone, e.g. with your bags. You might also want to wait to board until last to reduce the time you have to stand and wait to get to your seat, as well as stay put in your seat while those in hurry disembark. The bottom line is that flying as such is not harmful for you or your baby. Flying when pregnant can though slightly increase the risk of developing some health related problems. This risk is still minimal and vast majority of pregnant women fly safely during various stage of their pregnancy. You can minimize this risk, however slight it is, by taking some simple Pregnancy And Flying Precautions.